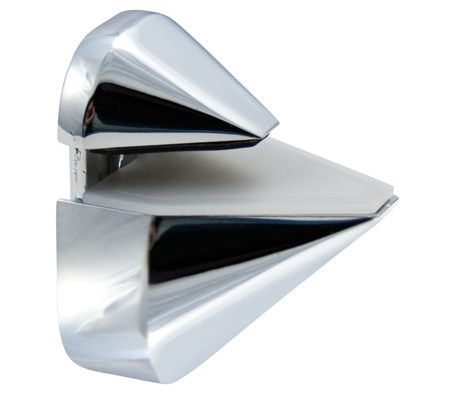 These Chrome Adjustable Shelf Brackets are designed to work with 1/8 to 15/16 inch (3 to 24 millimeter) thick glass or wood shelves, up to 10 inches (254 millimeters) deep. 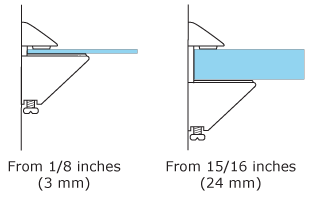 For maximum strength in drywall installations, brackets should be secured to a stud no more than 16 inches (406 millimeters) apart. In concrete installations quality anchors are recommended. 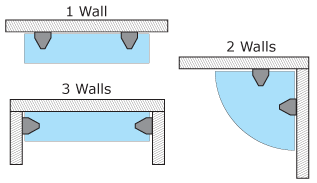 The material directly behind the bracket could have an effect on the brackets performance. Hard materials such as concrete, tile or marble do not have the tendency to dent or collapse. 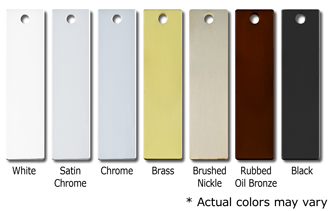 However, depending on its condition, drywall can compress or dent and allow the front edge of the shelf to slant down. Therefore, the depth of the shelf and the amount of weight placed on it should be considered in this type of installation. 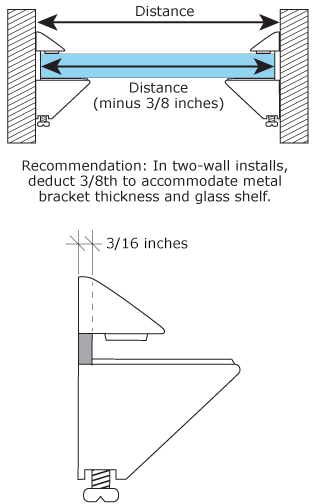 Maximum recommended weight per pair of DL631 Shelf Brackets correctly installed is 44 pounds (20 kilograms). 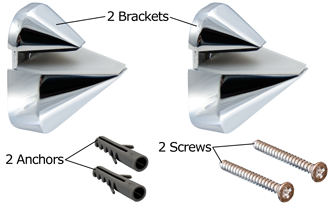 The brackets are secured with one screw (included) to the substrate. 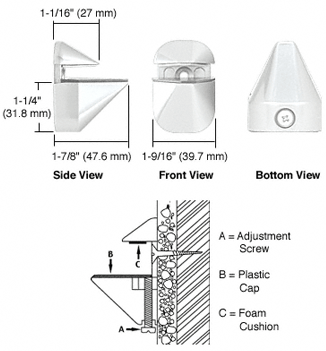 An adjustment screw is also included to accommodate various glass thicknesses. 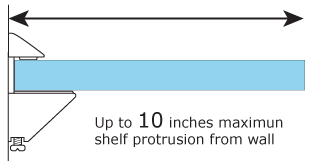 Shelf Brackets should be mounted no more than 16" (406 mm) apart.